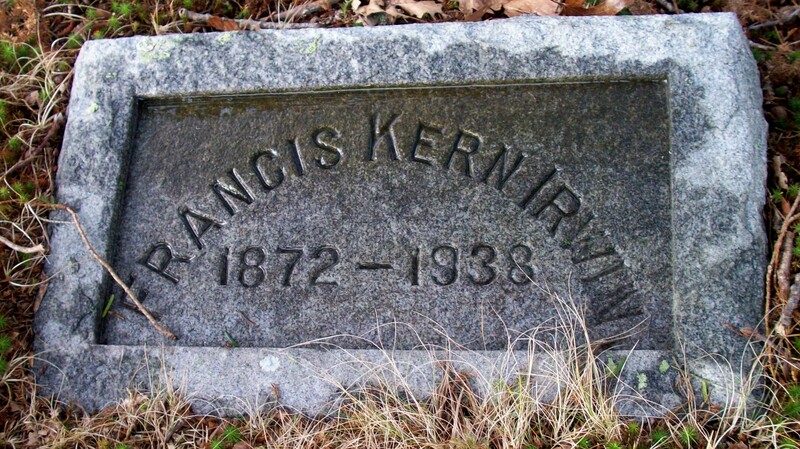 Born: April 18, 1872 in Sandwich Ma. 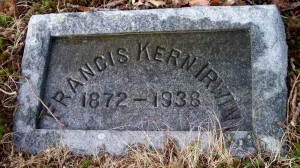 Died: April 13, 1938 in Bourne Ma. at 65 yrs, 11 mos. Where Lived: Station St. in Cataumet Ma. 1. Ruth Elizabeth Irwin Rex; (June 3, 1901 – 1989); Married Percy Fielitz Rex (1902 – 1975) (Percy Corson Rex & Agnes Charlotte Fielitz) in Bourne Ma. on June 28, 1927; Ruth & Percy are buried in Cataumet Cemetery. 2. 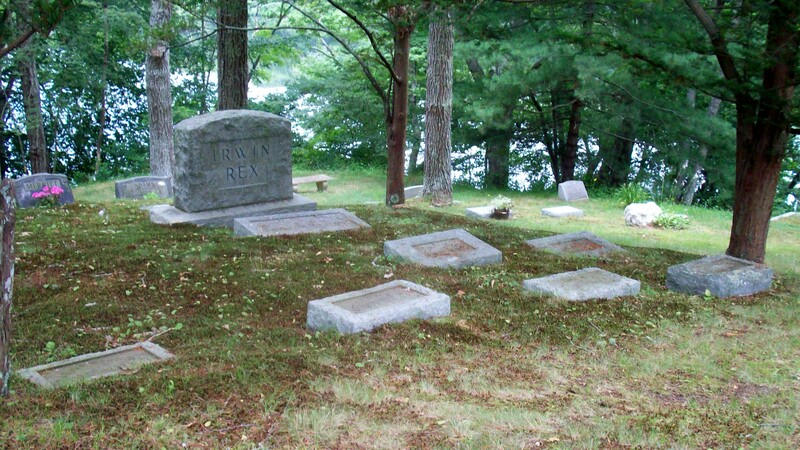 Robert Bruce Irwin; (April 30, 1906 – January 1986); Married Josephine H. (–) (1908 – 1982); Robert was a member of Bourne High School Class of 1923; He & Josephine are buried in Cataumet Cemetery.